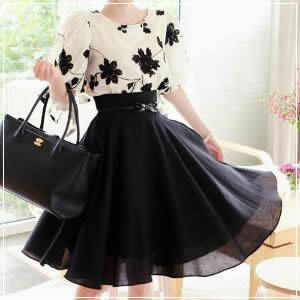 Check out with designerzcentral the stunning ideas to wear a skirt during spring season. Spring is a great time to go all out of your feminine, girly style and wear dresses and skirts all season long. Speaking of skirts, what are your favorite skirt styles to wear for spring? Do you like wearing more of the loose and flowy ones like an A-line or a maxi or would you rather wear sexier and more figure fitting ones like pencil skirts? Whatever your choice is, if you love wearing skirts, check out these stunning skirts to sport this spring. DENIM SKIRT – denim skirts are making their way back in the fashion scene and into our closets. Some of the biggest style icons like Rihanna and J.Lo have put their own twists on the denim skirt and have sported it off duty, giving us loads of inspiration to style by. I personally love a good pencil cut denim skirt. I think it’s a great choice for curvy girls as it really hugs the curves and showcases your figure. Denim miniskirts are great for those with longer legs. 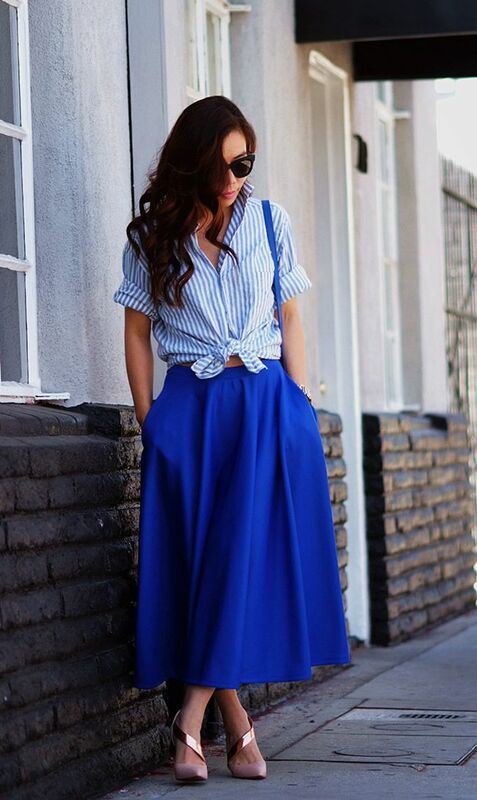 MAXI SKIRT – we all know a maxi skirt is a staple every stylish girl needs in her closet, be it spring, summer, winter or fall. We all love a good maxi skirt, especially in the springtime. It’s one of the most popular skirt choices for festivals like Coachella because it never fails to give off that laidback Boho vibe. Have fun with printed maxis or opt for a simpler look with plain and solid colored maxi skirts. Either way, you’re sure to look super chic. MIDI SKIRT – if the maxi skirt is not your strong suit, though, and you feel you don’t have the legs to rock those, why not opt for a midi skirt instead? Midi skirts are perfect because they’re universally flattering so you know you can rock them even when you don’t have mile long, supermodel status legs. PLEATED SKIRT – a pleated skirt is a great way to add texture to a plain and simple outfit. It’s also a great way to add volume to your lower half if you have an inverted triangle body type or the body type that is top heavy and needs balancing by the bottom. FLORAL SKIRT – if you think floral prints aren’t girly enough for you or for the look you are going for, wearing it on your skirt is sure to get the job done. A floral skirt is a great way to add that springtime vibe to your look. It’s also a great way to look really dainty and feminine with just the right hint of whimsy and cute.